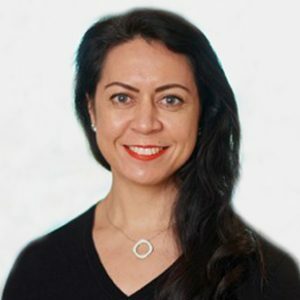 In this case summary, AMMA Head of East Coast Workplace Relations Leyla Sandeman (pictured) analyses why four retrenched dockworkers had unfair dismissal applications on the basis of non-genuine redundancy comprehensively thrown out by the Fair Work Commission (FWC). The single member decision is a welcome reinforcement that when managed properly, employers do have flexibility under the current workplace relations system to reduce workforce numbers in response to fluctuating operational requirements. The four full-time permanent employees performed stevedoring services for Patrick Projects Pty Ltd at the Australia Marine Complex (AMC) near Perth in Western Australia. The company had established a cargo handling service at the site to service vessels steaming to and from Barrow Island for construction of the Chevron Gorgon LNG6 plant. They were made redundant after Patrick Projects was advised by its principal client of reduced labour demand and the need to scale back workforce numbers at the site by 85 employees, reducing its permanent workforce from 221 to 136. On 19 February 2014, the quartet was included in the company writing to 43 employees notifying them of their redundancy, advising their employment would end on 20 March 2014. An offer of casual employment was taken up by other redundant employees, but not the four employees seeking unfair dismissal. A list of available positions at Asciano, an associated entity of Patrick Projects, was provided to the employees, however none of the applicants expressed interest. The employees claimed the dismissals were unfair as the employer failed to discuss any possible deployment options, and they were restricted from fully and properly understanding and exercising all of their employment rights as they had not received a “Little Red Book” which included all of the instruments governing their employment. They also submitted that the offer of casual employment meant the employer still required their roles to be performed, and there was no reduction in work, project ramp down or required change to manning levels when redundancies commenced. The four employees questioned the employer’s enterprise agreement compliance and also contended it would have been reasonable for them to be redeployed to complete training required under a Deed between Patrick Projects and the Maritime Union of Australia (MUA). The applicants contended their terminations were not genuine redundancies and made claims for unfair dismissal. While the employees contested the evidence of a reduction of work, Deputy President Geoff Bull said this was “beside the point if the operational requirement flows from an instruction from the respondent’s principle to reduce its workforce”. “The construction of an LNG plant on Barrow Island for the Gorgon Project is self-evidently work which would require an increase to and eventually a decrease in manning levels,” he said. Deputy President Bull highlighted the timing of workforce fluctuations were in the control of the principle (client) who provides the (employer) with “instructions regarding their Schedule of Works and the employee numbers it is prepared to fund”. Although casual opportunities remained within the business, Deputy President Bull said this did not detract from the need to reduce the full-time permanent workforce. He also noted the employees’ submission of redeployment being required to complete training lacked substance. “Putting aside whether the Deed placed an obligation on the respondent to provide further training to the applicants while employed, any training obligation does not usurp the respondent’s right to terminate the employment relationship on redundancy grounds,” Deputy President Bull said. Further, Deputy President Bull said whether the employees had documents contained in the “Little Red Book” did not impinge on the questions that need to be determined by the Commission under s.389 of the Act. He said the book was immaterial as to whether the company no longer required their jobs to be performed by anyone because of changes in its operational requirements. He said the employer had complied with its obligations in the Agreement to consult about the redundancies and redeployment opportunities. Deputy President Bull also found no merit in the employees’ submission that the Deed between the employer and the MUA only allowed for redundancies to occur when the project came to an end, which was said to be on 15 December 2015. Noting a clause in the Deed, Deputy President Bull said “project ramp down” referred to progressive employee terminations on the basis of last-on, first-off, following peak manning as numbers in particular roles were no longer needed. “This is what occurred where tranches of employees were made redundant at various times following the attainment of peak manning on the project in July 2013,” he said. Deputy President Bull noted this was standard practice for work performed to support a construction project and the redundancies were part of the normal downsizing of such a project. He further stated the redundancies were “inevitable” in relation to the operational need to restructure following a reduction in the Schedule of Works. It is critically important to ensure any redundancies are made in accordance with your obligations under the Fair Work Act which includes following consultation obligations in any relevant modern award or enterprise agreement and properly considering options for redeployment. Compliance with these obligations is a key part of a defence of genuine redundancy to any subsequent unfair dismissal claim. This case highlights employers do have the flexibility to manage the size of a workforce as the labour demand fluctuates. Further, redundancies will likely be considered genuine if managed properly as a result of the changing scope of work from a client. A direction from a client can be an important and key determinant in assessing if redundancies are genuine. The case also confirms that employers are able to offer casual positions to cater for transitional periods and uncertain, fluctuating labour demands. For advice on workplace restructuring, including correct procedures and considerations for redundancies, contact an AMMA consultant near you.